Can the NHS refuse to carry out an initial Checklist? Care to be Different > Articles > NHS Continuing Healthcare > Can the NHS refuse to carry out an initial Checklist? If your relative is or is about to go into a care home setting, they are entitled to request that the NHS undertake an initial Checklist assessment to see whether they are eligible for NHS Continuing Healthcare Funding or NHS-Funded Nursing Care. The initial Checklist assessment can take place in whatever setting your relative is currently living – whether in a care or nursing home or even in their own home. The Checklist assessment is a useful preliminary ‘screening’ tool to see whether an individual would in fact trigger for a full NHS Continuing Healthcare (CHC) assessment at a Multi-Disciplinary Team meeting. 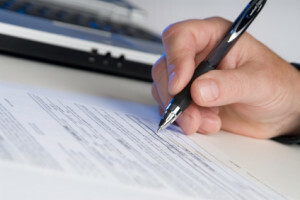 Anyone can ask for a Checklist assessment to be carried out. However, if you are told in advance of the Checklist assessment that ‘there’s no point because your relative won’t qualify for funding’ – then you must object. Comments like this are misleading, and suggest that the outcome has already been predetermined before the assessment process has even begun! The whole essence of the Checklist assessment is to see if there is a possibility that your relative may qualify for CHC Funding. It is a good idea to familiarise yourself with the Checklist, which can be accessed by clicking here. The initial Checklist has 11 Care Domains, which are set out below. The Care Domains are broken down into 3 levels, A, B or C – where A represents the highest level of care needed, and C is the lowest. The Checklist threshold to proceed to a full assessment has been set at a deliberately low level in order to enable all those who require a full assessment for eligibility to have that opportunity. Therefore, whilst your relative might proceed to a full assessment, that does not automatically mean that they will actually qualify for fully funded CHC at the next stage. There are still many hurdles to overcome, and getting past the initial Checklist stage is only the first rung on the ladder. 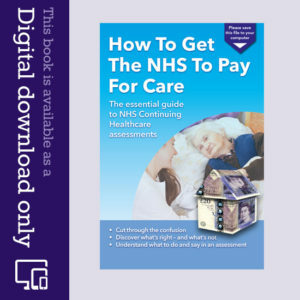 Following the initial Checklist Assessment, your relative will either score positively – thereby progressing to a full assessment for NHS Continuing Healthcare at a Multi-Disciplinary Team assessment; or negatively – meaning that your relative’s healthcare needs are not (yet) at a sufficiently high level of need to justify a full assessment. If your relative gets a negative decision, they are entitled to receive written reasons for that rejection, and should also be given a copy of the NHS Complaints Procedure. Although the threshold to trigger a full assessment is set low, scoring is subjective, and each CCG may deal with matters differently, depending on their assessors’ training and how they interpret the individual’s health needs against the various Care Domains. That means there can be inconsistency across the country, and room for error. Some refer to it as the ‘postcode lottery’ and your chances of success can vary depending on where you live. It is a good idea to take someone with you to the initial Checklist assessment and to keep a note of what was said and discussed. This may be useful evidence if you feel that the assessment was not carried out properly. If you feel that your relative has been wrongly screened out of the assessment process, or the assessment process was flawed in any way, then you must complain and act swiftly – otherwise it could count against your relative later down the line. You only have 12 months to raise a complaint. So, if you suspect abuse of process, you should request that the Checklist be repeated. Write to the Continuing Care Team at the CCG, and state your reasons. You can also state what scores you believe should have been awarded – but make sure those scores are high enough and that they match the combinations needed for a full assessment. If your relative does not succeed at the initial Checklist stage, assuming that the assessment has been carried out fairly and robustly, then it is a good indication that your relative does not meet the necessary level of healthcare needs to obtain eligibility for fully funded CHC. Don’t despair! A negative outcome, whilst disappointing, can still provide a very useful baseline to refer back to at any subsequent assessments should your relative’s healthcare needs deteriorate in the future. You can use it to compare any changes in needs against the previous Care Domains, as a basis for justifying that an updated Checklist be carried out. Are there circumstances when the NHS can refuse to carry out an initial Checklist? The individual is already receiving services under Section 117 of the Mental Health Act to meet their assessed needs. If your relative has a genuine healthcare need, they should ordinarily get past the initial Checklist assessment stage and then proceed to a full assessment for CHC Funded care. If you are dissatisfied with the outcome of the Checklist assessment, or feel that it was not done fairly or robustly, then you must consider challenging that outcome immediately. Care To Be Different has lots more useful free information and resources on our website to browse at your leisure. If you want professional help visit our one-to-one help page. My mother is just about to go into a care home for 3 weeks respite care whilst the Agencies try to identify domiciliary staff for double-up care at home. On the 9th December my mother collapsed at home with large clots in both her lungs, brought on from 2 x surgery in close succession and lack of mobility. Her mobility had been greatly reduced due to mum fracturing her right hip and breaking her right wrist on June 10th and fracturing her left hip on October 7th. Mum has dementia which progressed noticeably after her second fall. Up until mums emergency admittance to hospital on the 9th December I had provided all her care. I had moved back into my parents home in March 2018 to look after both my mother and father* aged 93 and 95 respectively. My mother was discharged from hospital this time on 24th December 2018 and taken to a local care home on (what I later learned was an NHS DT2A scheme), all I was told was after 4-5 weeks mum would be assessed for CHC funding. Naively, being completely ignorant to all of this I thought the very fact the hospital had thought mum eligible for assessment would mean we would definitely receive part or full funding! Therefore, stupidly, as I had expected some funding I was taken aback and very angry after an hour long meeting with the hospital Discharge Coordinator and a lady from Social Services to learn no funding had been granted. It became very obvious afterwards that to qualify one has to be no more than a vegetable. So, contrary to what the above article has said I would have much preferred to have been told early on that it was very ‘unlikely’ my mother was poorly enough to receive funding. I will add however I was very grateful that my mother was put on the 4-5 week NHS care home scheme as her health and overall mental state has improved. Due to my naivety this meant I hadn’t started looking for Agency help until the 11th hour. Mum was now bed blocking at the NHS placed care home. Prior to admittance to hospital on the 9th December mum was managing to walk, if badly, with a zimmer frame. From day one of her admittance into hospital the hospital only moved mum using a hoist. This of course in turn meant the whole 4.5 weeks she was at the care home they used a hoist to move her. This then meant on her return home she needed a hoist, and 2 x domiciliary staff to move her 4 times a day. i.e. 1 x 3/4 of an hour slot and 3 x 1/2 hour slots. My mother will be self funding and on pricing out Agency charges for what is a total of just 2 1/4 hours care a day I never ever thought I would say the £1,050 a week care home charge was good value for money. I was totally taken aback at the eye watering amounts one needed to pay. Two agencies who couldn’t supply 2 x staff 4 x a day for at least 2 weeks quoted a charge of £1,100 and £1,129 per week. Another Agency, who I have assigned will charge £800’s a week but again currently can’t supply 2 x staff 4 x a day, hence mum being transferred to another local care home for 3 weeks respite care. Due to the fact I had been looking after mums care until the 9th I asked the Agency if I could be the second carer. They have agreed to this as long as I attend a Moving & Handling course with them and I’ve been booked in for a half days training on March 1st. In the past week I asked the care home she’s been staying in to try her using a zimmer and it has worked, she still currently requires 2 x staff to help her transfer to a commode but at least mum is standing again. I’m hoping after another 3 weeks she may go back to just needing my help again. My father’s mobility is very very poor. He underwent a Girdlestone procedure on January 26th of last year and hasn’t walked since, he has to rely totally on a gutter frame. Due to him now being a year older and having spent 3 weeks in hospital this January with a perforated gallbladder his mobility has taken a large knock. I don’t think it will be long before dad will definitely be in a hoist only situation. Financially this has all been a great shock to me. Mum isn’t aware of anything any longer and dad has slight dementia and handed over the financial reins to me some time ago. One hears of people being in a situation where they have had to sell the house for their parents care. I always thought I could care for them and did so well enough for a while but when their mobility goes its a real game changer and there is no way around but to pay out eye watering amounts per week to cover their care. Can I just add that we had the same problems. The care home requested a nursing funding payment from the Ccg but not a full assessment for NHS continuing healthcare. This is not what it says in the National framework. They then took the nursing funded payment without reflecting this in their fees. There was no mention of this in their contract and the ombudsman, after many months, found 4 faults with the care home’s procedures. Don’t think that anyone is acting in your interests it’s all about making money or saving money either way the system is corrupt. The Nursing home charge £1,500 per week and still no mention of what happens to the nursing funded payment unless you are about to sign on the dotted line. The CMA have just published a document on the died.gov website discussing the problems of bad practice in care homes which one government minister describes as scandalous. However I doubt anything will change unless more people come forward and challenge them. 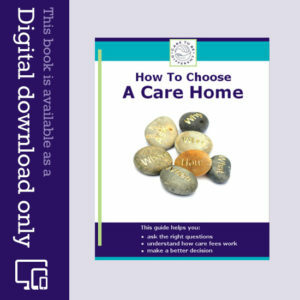 It is always worth looking into other options such as live-in care at home, as it can be cheaper, and it’s one-to-one, so the carer’s only duty is to look after that one patient and not 6 to 8 as in a care home. When I worked in a care home I was doing night shifts. I usually had 15-16 residents to look after. If I was giving to personal care for someone and the alarm rang do you think I could just leave the client and run to the other one? Sarah can I ask what are green benefits ? and the reference to he does not have dementia . you don’t need to have dementia to have CHC . Ive asked a question on here before and then spoke to Andrew I think it was on the phone. We’ve been through the farce of the NHS Continuing Healthcare and the endemic lies and ignorance surrounding that. We have paid for my fathers care home since November but at 1k per week our money runs out in April this year. I am currently requesting Social Services to come and do another care assessment so we can plan what the next steps are ( its been almost a month now of telephone and then email requests so I have not been surprised once again by their dismal attitude). I know from my previous experience that we won’t get NHS continuing healthcare (i have become a legal expert at it) even though my father is very very ill. I obtained GP notes from our very sympathetic and helpful GP and he is classed as Green benefits – DS1500 which is one step down from NHS Continuing Care (also he doesn’t have dementia which is what he failed on last time). They very cleverly split the questions and the combinations of A Band C’s that you are required to get so that most people fail for NHS funding and its passed over to Social Services who don’t want to pay for social care either. My father has cancer that has metastasized into secondary sites, he has dense left body paralysis from an ischaemic stroke, diabetes, those are the more serious items but the list goes on. He is classed as having months to live though and not ‘weeks prognosis’ which I have learnt is the critical thing with the NHS Continuing Care, as well as the combination of A’s you also need the GSF needs based coding. So this time round the Monopoly Board if social care, while I endeavour to get them to actually assign a social worker and visit the home, the date when we can no longer pay is fast approaching. I have informed the home that we are going through his process with Social Services and I am ready to give them written notice that he will leave because we cannot keep him there past the date when we cannot pay and we have a contract with them so we will be liable, or more specifically my mother who cannot pay beyond their savings that they have already used up. He is in a moderately priced home but it is a nursing home, he needs a special bed and a special padded chair and a hoist, injections and 24hr care. Last time social services sent my mother to look at a home in their price range which was cheaper (and dirty actually) ….but more importantly WITHOUT the items he NEEDS from a medical perspective and which were LISTED on the care needs form (the social worker who does the assessment is different to the person who does the bed booking…watch out for that)…… there was just a thin old mattress, no vibrating mattress bed, no padded chair, no hoist. All against what lawfully they are allowed to do. But they still do it….. So this time I know exactly what we will experience as the home has said that from their experience there is a shortfall between what social services will pay and what my fathers care requires. Again I know this is also not allowed. Note the home is not trying to extract more money – this is just advice from them. My question that I can’t find an answer to is while we argue this out what happens to my father?, will the home discharge him to a hospital again then? if they discharge him back to my 81 year old mother she has no help or hoist or anything?. Someone I spoke to said they cannot just discharge him. But he cannot remain in the home if funding cannot be paid for ? Can anyone point me in the direction to find my answers ? I’ve read every document on here that I think is relevant, looked on Age UK. I just want to prepare my mother and my very sick 83 year old father for what’s going to happen. I think for my father who worked all his life and never took a penny in any benefit, and who although physically very frail, still has a brilliant mind and so is totally aware and asking about everything regarding this……sadly death will be a release from this constant stress of funding. Any comments or experience anyone has with this particular issue would be gratefully received.